It’s Saturday night in Rome and the crowds fill the sidewalks along the Piazza Cavour which is actually not far from the Vatican. It’s not the Via Veneto of Fellini's La Dolce Vita (1960), but the taxis are lined up along with the crowds at the Cineplex which features dubbed Italian versions of movies like The Hobbit: The Battle of the Five Armies and The Imitation Game. You see all the familiar actors except they’re spewing the lines from your favorite films in Italian. “Manchester, Inghilterra” reads the type that rolls across the screen, as the story of Alan Turing and Enigma unfolds. 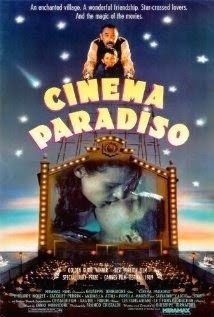 Of course, the scene at the Cineplex is duplicable in almost any American city and there's no doubt that the cinema bears little resemblance to the quaint little theaters memorialized in Italian movies like Cinema Paradiso (1988). But as the expression goes, “you can take the girl out of the county, but not the country out of the girl.” There’s something unmistakably Roman about the whole ambiance of the theater which is a paradigm of all the clichés which cinema itself has created about the sensuality and vociferousness of the city and perhaps Italian life in general. Its as if the spirit of Anna Magnani, who starred in Pasolini’s masterpiece, Mamma Roma (1962) were hanging over the theater itself in the crowds impatiently jostling for admission to the varying auditoriums whose availability is indicated by a dramatic sign which causes a surge of humanity to jolt forward when a green light beckons. Keep walking along the Piazza Cavour on the Via Crescenizio. You’ll come to the Piazza della Risorgimento with its levitating swami (who could easily have been cast for 8 and 1/2) and streets with names like Via della Conciliazione, Largo del Colonnato and Viale Del Bastioni Di Michelangelo (which faces the magnificent back wall of the Holy See). It’s Saturday Night Fever, Italian Style.